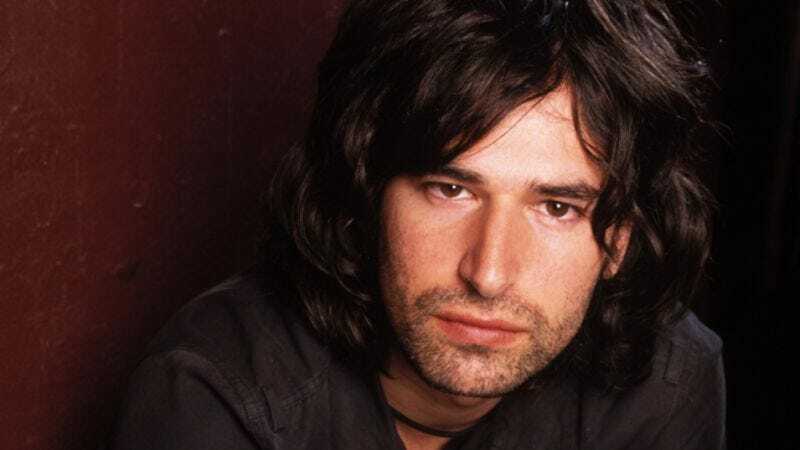 Pete Yorn’s 2001 debut musicforthemorningafter doesn’t exactly scream out for the deluxe reissue treatment. (It doesn’t really scream out at all; it just sighs and shrugs.) The album has its admirers—including yours truly—but it’s not particularly important or widely beloved. It wasn’t an era-defining smash, nor was it a cult sensation that went on to influence scores of hip indie bands. It’s just a good record (possibly a really good record) that begat a career that can be equitably described as modest and workmanlike. And yet, Sony Legacy released a two-disc “10th Anniversary Edition” of musicforthemorningafter back in March, and listening to the record again now, this seems entirely appropriate. Because what is a deluxe reissue if not a museum piece, a way to remember a remnant of the past that appears alien and unknowable in the light of the present? (Even the term “deluxe reissue” will be equated soon enough with putting thoughts down with quill and parchment.) As rock critic David Fricke writes in the liner notes, musicforthemorningafter “was arguably the last of its kind: an unknown singer-songwriter debut, given a classic major-label push.” Here, encased safely behind glass and exhaustively described via annotated signs to your left and right, is nothing less than the denim-clad, mass-appeal, trad-rock would-be pop star, right before his species went into extinction. Released by Columbia Records—the label that patiently waited over the course of three albums for an oddball pub-rocker with a Dylan fetish and jazz leanings named Bruce Springsteen to become arena-filling mensch Bruce Springsteen—musicforthemorningafter presented a ruggedly handsome dude with a low, brooding voice and songs that synthesized seemingly every mainstream rock trend of the previous decade (as well as, strangely, many trends yet to come in the ’00s): grunge, post-grunge commercial alt-rock, alt-country, ’80s revivalism, sensitive singer-songwriter balladry, electronic-inflected folk-pop, and garage rock (not so much in sound as in form, since it was recorded in an actual garage). Befitting a major-label release with a massive promotional campaign, musicforthemorningafter had a wide reach, touching on a range of sounds that appealed to anyone with an interest in radio-friendly rock and blending them together into a seamless whole in a pleasingly organic, handmade way. These were commercial songs delivered with a personal touch, by a guy good-looking enough to seduce most heterosexual women in the 18-to-34 demographic, but also average-guy normal in demeanor, so the guys in the audience would regard Yorn as a bro you could, like, relate to. This approach is typified by musicforthemorningafter’s winning opener, “Life On A Chain,” which begins with Yorn singing over a country-ish acoustic strum that’s been sonically treated to sound like an old Johnny Cash song spinning on scratchy vinyl. Then it shifts into an R.E.M.-style jangler buoyed by a vaguely danceable bassline lifted from a New Order singles compilation. On the chorus—which does not include the words “life on a chain,” a stock grunge-era songwriting device—Yorn affects an Eddie Vedder moan oozing wounded but still-palpable masculinity. Then he slips into one of those wheezy harmonica solos that all but guarantees comparisons to Bob Dylan, Neil Young, and Springsteen by lazy record reviewers. On record, “Life On A Chain” doesn’t sound as calculated or cobbled together as it does on paper—10 years after the fact, it remains a reliably durable piece of pop-rock ear candy. Yorn is first and foremost a craftsman of songwriting and record-making, a skill that’s served him well as his career has cooled over the years, leading to gigs penning tracks for the Dixie Chicks and indie-film pixie chick Scarlett Johansson. But Yorn and Columbia seemed to be purposefully courting comparisons to the weathered stalwarts of classic rock with musicforthemorningafter, not only for the gravitas an emerging artist gets from being put in that company, but also because aping those guys still seemed like a credible commercial move at the dawn of the 21st century. It certainly worked in the ’80s and ’90s, when Springsteen, John Mellencamp, Tom Petty, and Bob Seger (along with overtly pop-oriented counterparts like Bryan Adams and Tom “Life Is A Highway” Cochrane, as well as bands like Counting Crows, The Wallflowers, and Hootie And The Blowfish) made Manly Populist Rockers a sturdy presence on pop radio. Back then it actually made good business sense for big labels to invest millions in earnest fellas who could not be slotted comfortably into any single rock subgenre, but rather appealed to the masses of rock listeners not yet steeped in the orthodoxies of the punk, metal, and indie scenes. They were “rock” in a generic, one-size-fits-all, network-TV sense—rooted in ’60s traditionalism, with touches of boomer-approved folk and soul, and likely to appeal to somewhat cool parents as well as their kids. As Fricke suggests, these sorts of artists don’t really exist on the major-label level anymore, and scanning the radio, you’re as likely to hear a lily-white, turtleneck-clad balladeer softly crooning “Mona Lisa” as you are a harmonica-slinging singer-songwriter. In that sense, musicforthemorningafter sounds like one of the final gurgles of a dying Top 40 archetype. Though the album sold well for a debut, going gold based on the strength of singles like “Life On A Chain” and “For Nancy,” Yorn’s career sputtered after his sophomore record, 2003’s Day I Forgot, failed to match the sort of sales expectations that major labels would reluctantly learn to tamp down. When I spoke to Yorn in 2002, he sounded like he was on top of the world, vacationing in Hawaii after touring for a year in support of musicforthemorningafter. “They’re hoping my third or fourth record will be a big hit,” he said of Columbia. “They’re just supporting the music right now, which is really rare but I think it’s cool. I’m proud of the way they’ve been treating me.” Columbia ended up dropping Yorn after his fourth record, 2009’s Back & Fourth, did not become the big hit the label was hoping for in ’02; last year’s Pete Yorn was released by the indie label Vagrant. If musicforthemorningafter were made today, it would almost certainly be released by an indie, and probably without much hope of it making Yorn anything more than a cult hero. There’s another sign of the times: Back when Columbia was selling boatloads of Born In The U.S.A. in the mid-’80s, an artist like Springsteen was seen as hopelessly whitebread by the flintier indie labels. But indies just might end up reviving Manly Populist Rockers as a commercial force: British Americana act Mumford & Sons’ insanely popular debut Sigh No More has sold more than 1.3 million copies in the U.S. for Glassnote Records, making them arguably this country’s biggest “indie rock” band at the moment. Like musicforthemorningafter, Sigh No More is a pop record played on guitars, designed with careful consideration to maximize its potential for popularity; unlike Yorn, Mumford & Sons have shown that this formula can still sell. Step away from the display, kids: There may be a pulse inside this museum piece after all.